An entertaining journey inside your favorite classic stories. The overall story feels rather undeveloped, and ends abruptly. 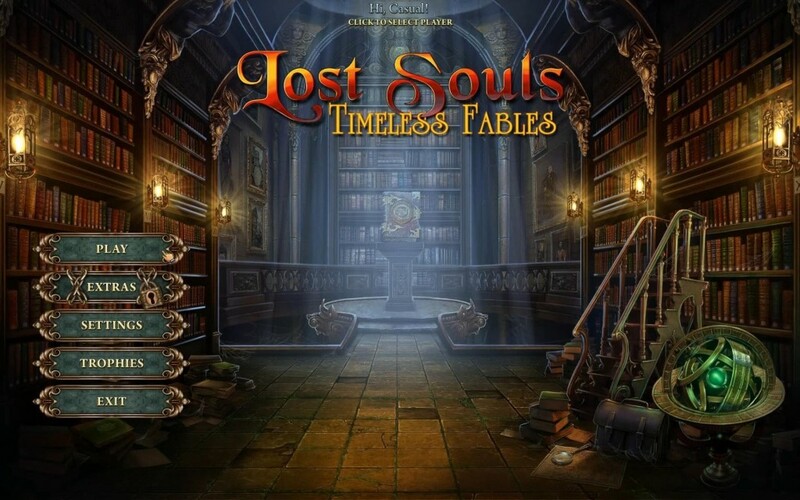 Your favorite stories come alive in the latest hidden object adventure from G5 Entertainment, Lost Souls: Timeless Fables. The story line in Lost Souls 2 isn’t all that well developed, but the gist of it is that your brother has disappeared. You awake from a nightmare, where you watch as he is sucked inside a strange book. It is, of course, your job to save him – and you do this by jumping into a series of different books yourself. Solving each of the books gets you a piece of the artifact that you’ll need to unlock the book your brother is trapped in. Though that story line doesn’t actually get a whole lot of attention or development, what does is the ones inside each of the books you’ll need to solve. Each book is patterned after a classic story – The Call of Cthulu, Robinson Crusoe, The Three Musketeers, Jack the Ripper, and Titanic. 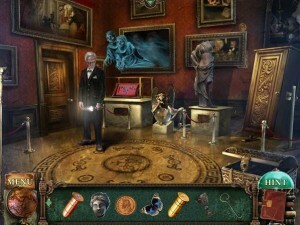 As you enter each book, you’ll find that the puzzles are matched perfectly to the book. For instance, in the Jack the Ripper story, you’ll examine a dark alley for clues and develop a picture using old fashioned equipment. The hidden object finds match up as well, with players searching amidst jumbles to find a variety of objects and advance in the story. 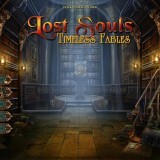 The puzzles in Lost Souls: Timeless Fables are pretty standard for this type of game. 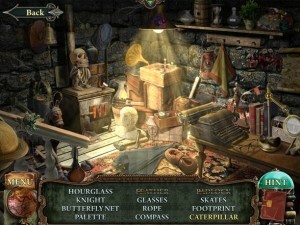 Though you will do a little bit of searching for usable items in the environment, you’ll also encounter plenty of hidden object jumbles to enjoy. These come in two different forms – either a written list of items to find, or images of items to find. Regardless of the way the list is presented, you’ll find the objects amidst a jumble of items on a fixed screen. Once you’ve found everything, you’ll be given a final object to search for, which will be added to your inventory when you find it. Because the game is separated into the books, there aren’t dozens of locations to keep track of. Each book has typically four or five locations within it, and you can easily move between these using the map (which cuts down nicely on how much wandering around you need to do). Once you have completed all the tasks in a location, it is marked as finished, so it keeps the pace moving along nicely. Though the overall story line feels rather undeveloped, Lost Souls: Timeless Fables is worth playing for the smaller story lines spread throughout the books in each of its chapters. 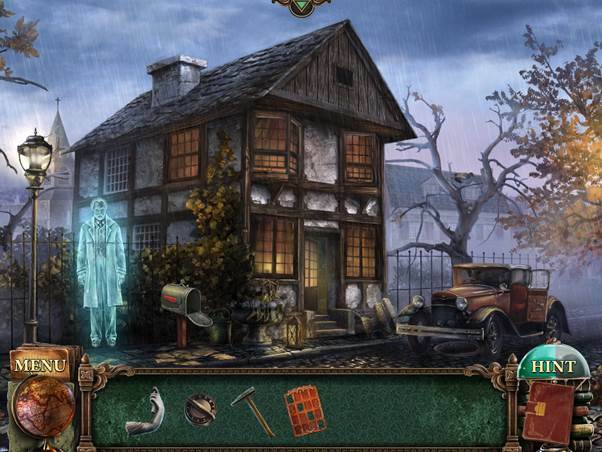 With tons of hidden object jumbles to play, and some standard mini games to help break up the action, you’ll enjoy getting lost in some classic stories once again.